Find Aeromart! – right next to Camp Scholler – making it easier for campers to transport their parts to the tent. It’s also more convenient for shoppers, close to the main gate and next to the main exhibit hangars. Aeromart is located north of Camp Scholler, southwest of Exhibit Building D and southeast of the Fly Market. From the pedestrian Main Admission Gate, take the first diagonal path to the right and proceed to the end. We will be on your right. Note: the Fly Market is northwest of Aeromart. Click on the map to the left for a larger view. 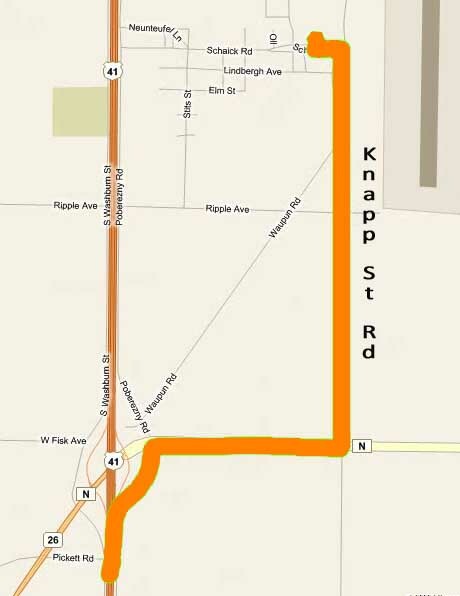 If you have items that need to be delivered by vehicle, it’s recommended you enter the site from the south via Knapp St. Directions from Highway 41. Click on the map to the left for a larger view. 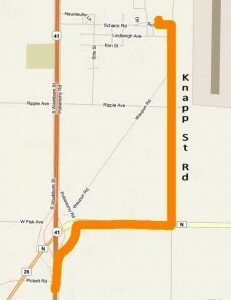 Exit 113 and go east one mile on Hwy N.
Turn north (left) on Knapp St. and continue to past Waupon Rd. to EAA Security. 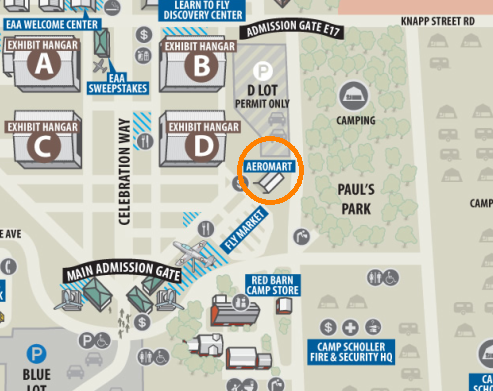 At the security checkpoint, inform the guards you are dropping off items at Aeromart. Security will direct you to the west (left) on Schaick Road. Continue slowly a few hundred feet (past the first turn but before the Barn Store) on the right (north) will be Aeromart.